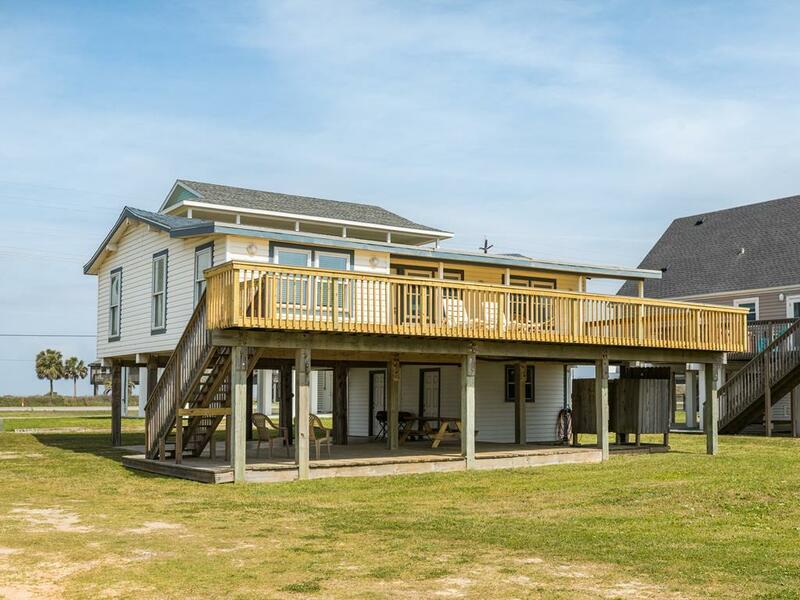 This 2nd row, single level budget-friendly home is ideal for small families or couples vacationing together! The living room, dining room, and kitchen are all part of an open floor plan so no one (including the cook!) has to miss any of the fun. 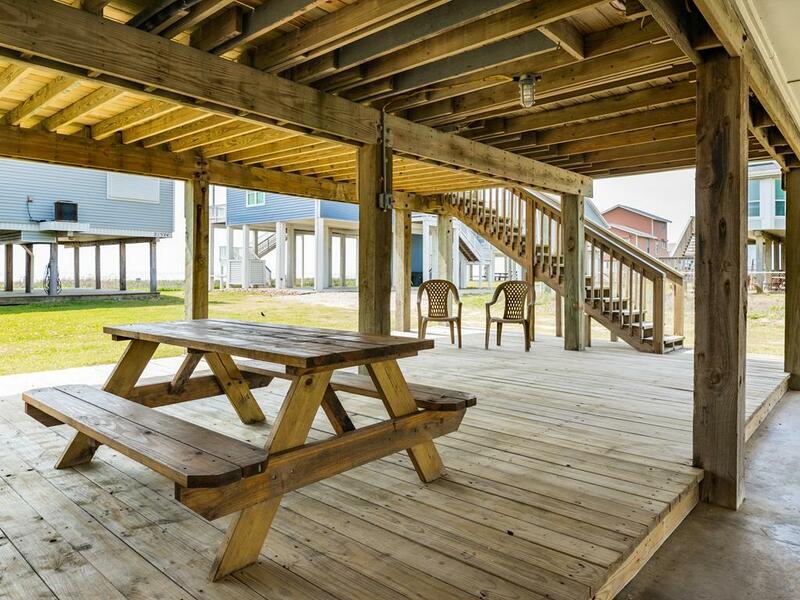 The partially covered deck is perfect for dining al fresco, and the large ground level deck is a great place to cool off from a day in the sun or grill your fresh catch! Beach access is only one house away. NOTES: There is no landline phone service at this home. Parking is limited to 3 cars. Very clean, neat, short walk to beach, great view, master bed comfortable, great for couple getaway. Very cozy beach house. Perfect for single family vacations. We really felt at home. Perfect size for our family of 4 and had everything we needed. 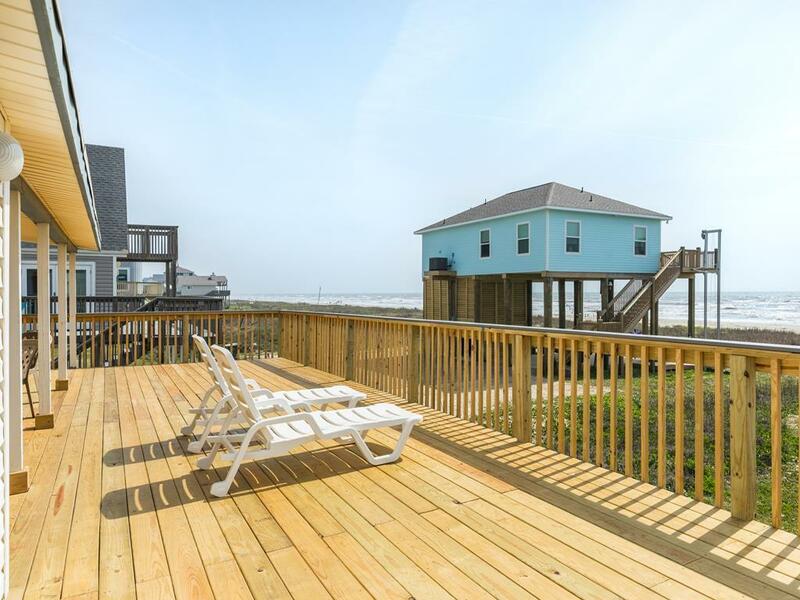 Short walk to beach, great view and the deck is awesome. We grilled out every evening and put the picnic table to good use. 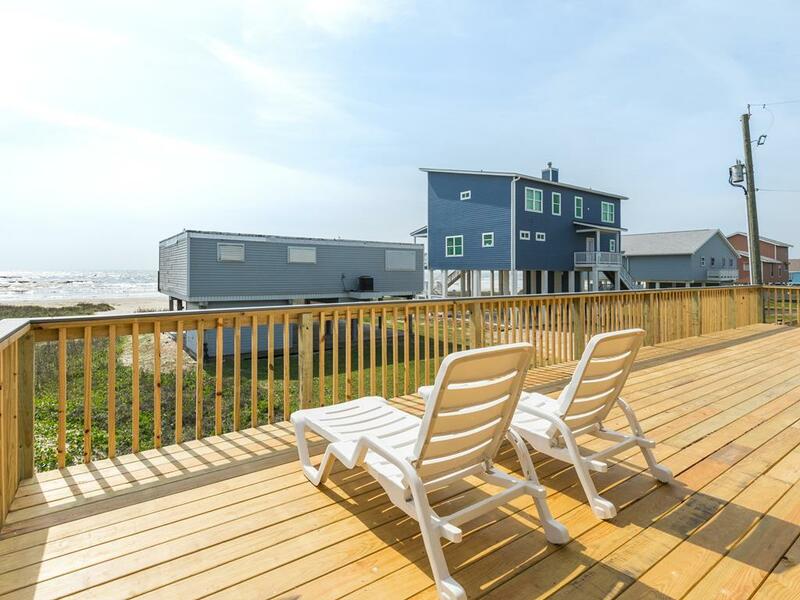 If you are looking to relax and spend time at the beach then this is an ideal house. Affordable too. My only suggestion for improvement would be to consider replacing the front door, it drags on the tile once you've opened it about three quarters of the way and it's pretty beat up. I would stay here again. Loved it. Hi Jennifer - We are glad you had a great time! Our Property Services team is working with the homeowner to remedy the door situation you mentioned. We hope to see you again soon! UPDATE 7/19/18 - The front door has been replaced! This house was very clean and has a good view of the ocean. We enjoyed our stay. 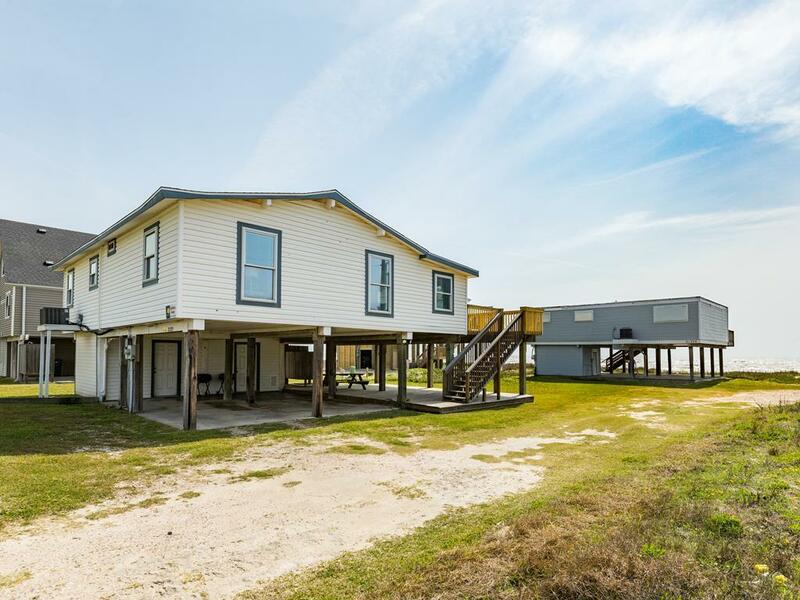 House has a great view and great beach access. Shower could use some TLC. But overall, a nice budget rental. we really liked this property~house was cute as a button. only thing negative is that the deck was really worn, the nails on the deck were so rusted, they would come off as you walked across them, and some of the boards were loose, one was pulled up. a little dangerous for a baby and the elderly. so the deck does need to be redone. other than that, the house was perfect~! UPDATE 03/2018: We are excited to announce that Anchors Away has a brand new deck! We hope to welcome you back to this home soon! That it is very far from town. That would be my only complaint. Awesome place, perfect for a family of four. Beach access was just a few steps away. We will be back!!!! House was exactly what we needed for our stay. Kitchen has all appliances, silverware, dishes, etc. needed. Check in and out was simple and staff was very friendly and helpful. Very short walk to the beach and loved having the outdoor shower to rinse off the kids before going inside. Short quick drive to local grocery store and only about 20 minute drive into tourist area of Galveston. Would recommend this property!